"To serve as a catalyst to celebrate the emergence of new and innovative artists in and around Central Florida. 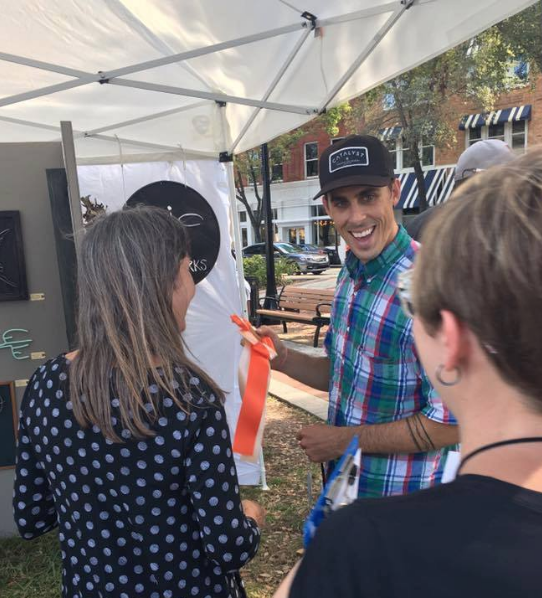 Art Crawl is focused on building relationships with artists, art organizations, sponsors and the community to bring about awareness, support and collaboration." Matthew Maher will be exhibiting a new series "The Weird & Unexplained" at the Grand Bohemian Gallery (Orlando) starting August 18th. Wine reception will be held from 6:00 - 9:00pm. Please join us for a beautiful night of art, wine, and friends. If you're not able to make it on the 18th, don't stress, the exhibit will be displayed till the end of September! Outdoor fun and family activities draw thousands of Central Floridians to Lake Eola for the largest arts & crafts festival event series in Orlando, now in its 46th year of existence. While live entertainment, a huge amount of food options and a kids’ area highlight this event series that spans the entire walkway of Lake Eola (over a mile long), the real stars of Fiesta in the Park Series are the 600+ artists and crafters that come from all over the United States to display and sell their original work. Matthew Maher has been selected to participate in the 2017 Raymond James Gasparilla Festival of the Arts as an Emerging Artist! One of the nation's oldest and most prestigious outdoor art shows, this year's Festival will take place on March 4th and 5th in downtown Tampa. Matthew is teaming up with Credo Coffee in their Healthcare Village location to exhibit a unique collection of sculptural wall hangings that will be on display starting mid February till late April. So head on over to Credo Coffee shop for a delicious cup of coffee, great atmosphere and the latest art! A non-profit organization serving as a catalyst to celebrate the emergence of new and innovative artists in and around Central Florida. Art Crawl is focused on building relationships with artists, art organizations, sponsors and the community to bring about awareness, support and collaboration. One-day art festival featuring 50 local artists from over 20 different cities in Central Florida selling artwork and competing for prizes alongside live music, live art demonstrations and featured local organizations and sponsors that proactively support the arts.